For a long time the women who fought for Irish freedom the 1916 Rising and the War of Independence were overshadowed by a focus on their male comrades. With the centenary of the 1916 Rising fast approaching all that has changed. In the last few years two new statues of Countess Markievictz were erected and in 2014 the new Liffey Bridge was named after Rosie Hackett. By now the stories of these women who fought for Ireland are well known – but only one woman died for Ireland during that struggle. Margaret Keogh was assassinated by the British military at her Dublin home in 1921. Although other republicans killed during the War of Independence were widely commemorated in songs and stories, Margaret Keogh was buried in a pauper’s grave and forgotten until now. Margaret Keogh was the eldest daughter of Patrick and Margaret Keogh who lived at No. 20 Stella Gardens, Irishtown in Dublin. At the time of her death in 1921 Margaret Keogh was just nineteen years old and worked as a printer’s assistant with Healy & Co. Printworks of Dame Street, Dublin. Margaret was a member of Cumann na mBan the republican women’s organisation which supported the IRA during the War of Independence. She was also active in political circles as a suffragette and as a member of the Irish Clerical Workers Union. She spoke Irish fluently and was a member of the Irish language organisation Conradh Na Gaeilge. In 1920 Keogh was questioned by the British forces whilst fundraising for Conradh Na Gaeilge and they arrested her when she replied to their questions in Irish and refused to speak English. ‘The Black and Tans seemed to make a habit of breaking out of their barracks at night, illicitly, and killing men they thought were suspect rebels, and the habit spread to a few army officers and soldiers’ Between September 1920 and June 1921 at least eight republicans were abducted and killed by British ‘murder gangs’ in Dublin city. Margaret Keogh was to be their last victim. After two and a half years of warfare a truce between the IRA and the British Army was announced which was to start at noon on the 11th July 1921 ending the War of Independence. Just a few hours before this ceasefire was due to begin at 11.15pm on the night of 10th July 1921 Margaret Keogh heard a knock at the door of her family home. She left her bed and went to answer the door, but when she opened it she could see no one in the darkness outside. As she was closing the door she heard a single gun shot and felt a sting in the side and fell back in the hall mortally wounded. She was rushed to Sir Patrick Dun’s hospital for treatment but died there the next day shortly after the ceasefire began. Margaret Keogh lived long enough after being shot to be able to make a brief statement about the shooting but she was unable to identify her attackers. However there can be little doubt that members of the British forces were responsible. The press reported that the British forces were conducting raids on republican homes in the area immediately before Margaret Keogh was shot. The British Military held an official inquiry into the murder of Margaret Keogh but the inquest was held in private and the press were refused admission. The British Military held an official inquiry into the murder of Margaret Keogh but the inquest was held in private and the press were refused admission. A century after her death the findings of the court of inquiry into Margaret Keogh’s killing have never been published. Margaret Keogh’s funeral took place at Glasnevin Cemetery, Dublin on 14th July. She was buried with full military honours, her coffin draped in the republican tricolour and carried by uniformed members of Cumann Na mBan. The following week, the Executive of Cumann na mBan organised a commemorative mass for her at the Star of the Sea church in Sandymount, but that was probably the only official commemoration she received. On the first anniversary of her death when Ireland should have been marking Margaret Keogh’s death Dublin city was engulfed by the Civil War and she was forgotten. Margaret Keogh’s grave in Glasnevin Cemetery is marked by a tiny one foot tall headstone. Her epitaph reads in bold letters: MARGARET KEOGH – DIED FOR IRELAND. Pádraig Óg Ó Ruairc has a PhD in history. His latest book ‘Truce, Murder, Myth and the last days of the Irish War of Independence’ published by Mercier Press will be launched in Hodges Figges, Dawson Street on 4th February. 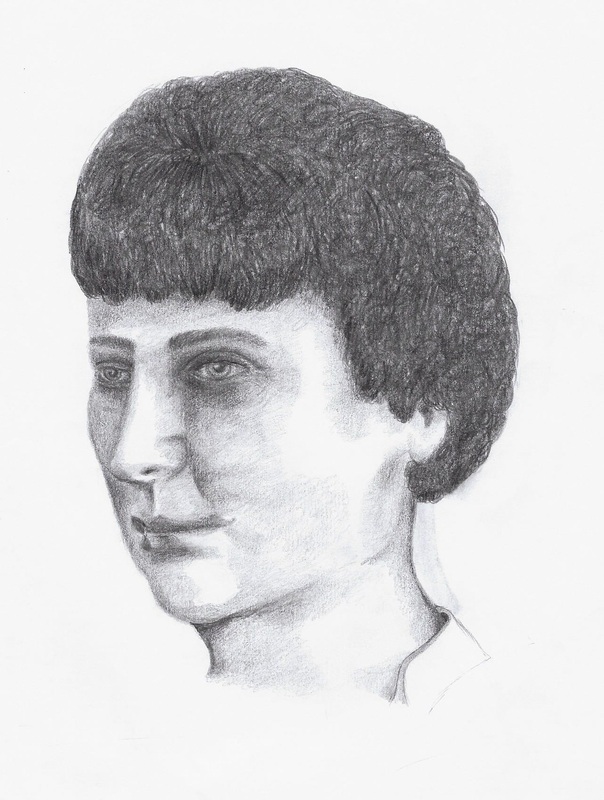 8 Responses to "Margaret Keogh – The woman who died for Ireland." According to this article, there are two Margaret Keogh a deceased in 1916 and is in 1921, is that correct? 1916 A Nurse Margaret Keogh was shot while aiding a wounded Irish Rebel at the GPO.Any body else know of the details.Stray bullet or deliberate shooting ? There is a picture out there with a Margaret Keogh standing beside Michael Collins,this would be the Margaret who was assainated. I believe. See the comments above Thomas. Yes, two different people. The nurse Margaret Keogh was accidentally shot in the crossfire of the battle at South Dublin Union in 1916. http://www.theirishstory.com/2016/02/25/the-battle-at-south-dublin-union-1916/#.W74ZzflRfIU She was not a member of Cumman na mBan. Yes – Margaretta Keogh was a civilian nurse shot dead in 1916 during the fighting at the South Dublin Union and the Margaret Keogh mentioned above member of Cumann na mBan who was assassinated by the British Forces on 10th July 1921. Its possible the two have been confused by some people in the past.